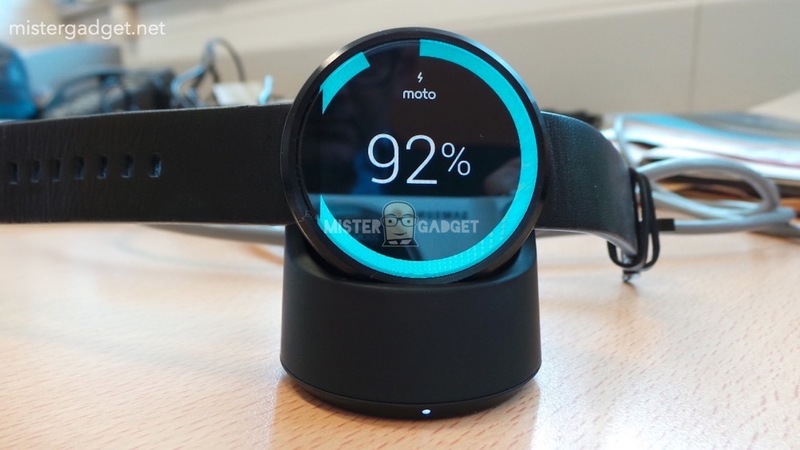 Notice the circular stickers attached to the Moto 360 in the picture at the top of this post? Those were included on the device that we photographed at Google I/O, which were measures taken by Motorola to hide certain aspects of the device that they weren’t quite ready to talk about. Now, take a look at the image below from Mr. Gadget, who spent enough time with the device without those stickers on to give us a mini review while also outing all sorts of specs that had yet to see confirmation. It should be instantly clear why Motorola had those stickers in place. 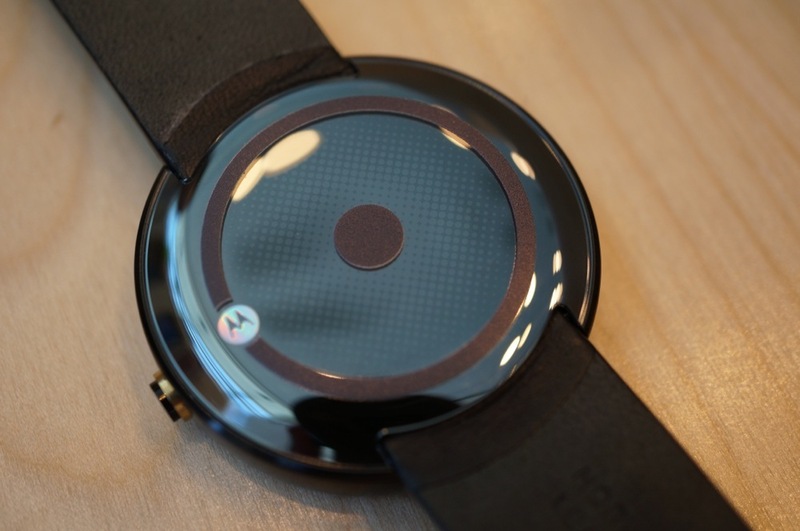 As is seen on the Moto 360 below (without those stickers), the device is water resistant at an IP67 rating, does indeed come in stainless steel (316L), has an optical heart rate sensor, pedometer, and of course, wireless charging. All of that info, was hidden by Motorola under a couple of stickers used at I/O. Finally, check out this hot wireless charging action. We may not have a release date after all these months, but our excitement over Motorola’s round smartwatch just increased, again. 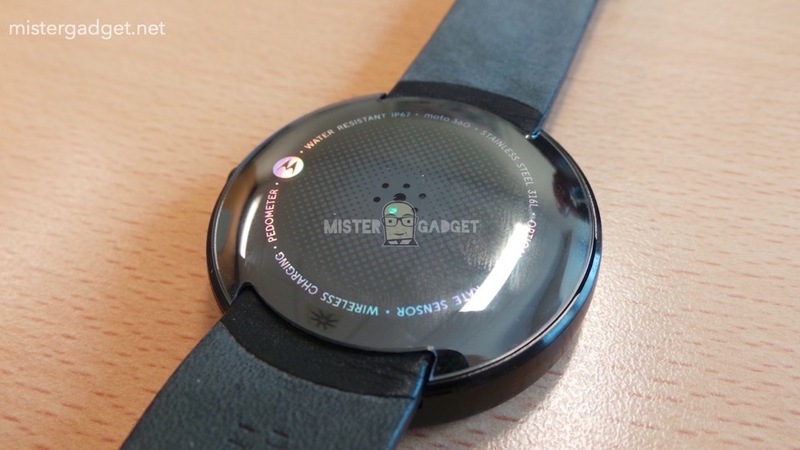 If you want to see a massive gallery of the Moto 360 from this leak, hit up this link. Cheers Nicolas, Chuck, Ryan, Milton, and Garrett!